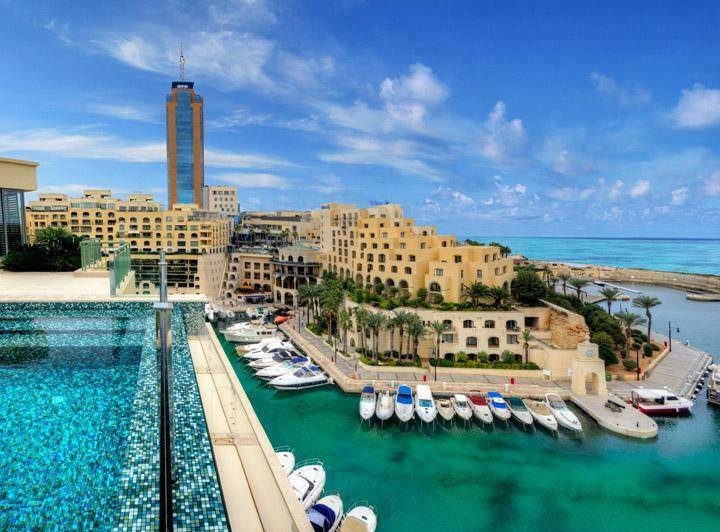 Malta is a very beautiful island with a stable economy and extremely attractive tax benefits. The 300 days of sunshine and long months of summer make it the perfect place to set up a business or simple work a casual job just to pay the rent and enjoy the summer months by the beach. Here is a short introduction with some hints and tips you might find useful when looking for property to rent in Malta. First of all, don’t just assume what you see online is available. Many Estate Agencies in Malta have old databases and the information is not updated on their system. Malta is a very small island and the places with high demand make it 10 times smaller. When moving to Malta most people want to live between Sliema and St. Julians. In the past two years the rental value has shot up and increased by about 35%, especially in these areas. This issue has stretched the search area of potential tenants from Msida all the way to Swieqi and San Gwann which are the neighbouring towns of Sliema and St. Julians. Something to take into consideration would be flat sharing. It would definitely be more feasible to rent an apartment with 2 bedrooms for 700 euro than it would be to rent a one bedroom for 350 euro. The going rate for a modern one bedroom apartment in Sliema / St. Julians area is about 550 euro for something relatively small and modern. There are of course the one off good deals but these are very hard to come by. In Gzira and Msida the prices go down a bit but this summer we have seen some new one bedroom apartments going for 650 & even 700 euro per month. The best thing to do would be to contact Estate Agencies in Malta before taking the decision to fly down. This would give you a better and real time indication of the letting market. The prices are not very seasonal; it’s more the availability which is the problem. There are so many expats coming to Malta that there is not enough good property to go around, especially in the summer months. Another hurdle some tenants come to is the period of the lease. Anything under six months is considered a short let. This is where it becomes super expensive; a three month stay could cost more than spending the whole year on a long let contract. Short let prices are calculated by the day or the week and one can expect to pay a minimum of 50 Euro per day for a 2 bedroom apartment, even if it is for 3 months. So once in contact with a Real Estate Agency in Malta, the most vital piece of information is the lease starting date, this is when you plan to sign the contract and move in. Booking online is not recommended and owners rarely accept bookings in advance as they want to keep their properties full every day of the year. However they do consider it with higher budgets. Finally we come to the things needed to rent a property. Well not much besides cash and passport. The contract is supplied by the Estate Agent and they will go through it clause by clause. When you are renting long let ask the owner and agent to agree to applying for the ‘residential rate’ instead of the ‘domestic rate’ All that needs to be done is the owner Signing FORM H indicating that the property is not empty and the rate is automatically changed to residential. Regarding cash you would need one full month’s rent in advance, the same amount as a deposit in breakages or breech of contact and half the amount +18% VAT for the agency fees. Some tenants collect between 70 – 120 Euro for water and electricity in advance too, this is common practice as long as the meters are read and the bill is checked together at least once every three months. Some owners insist on 2 month’s rent deposit. Another good note to point out is WIFI, very few long let apartments come with WIFI. This is easy to apply for and takes about one week to install costing approximately 15 Euro per month. If you would like any further information regarding moving to Malta and renting a property kindly send us an email from the contact tab and one of our Letting Specialists will get in touch with you.